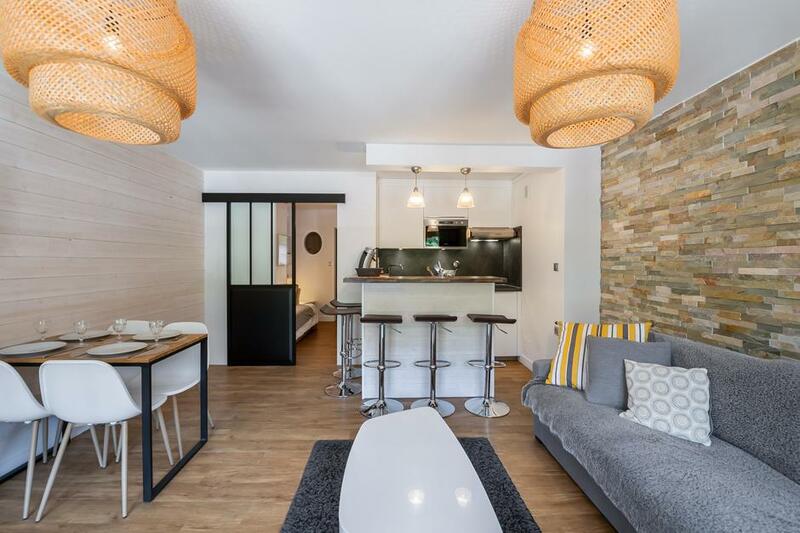 'Croix de Verdons' is a completely renovated apartment located in the centre of Meribel, composed of living-room and two alcoves on the first floor. It benefits from a convenient location in the centre of the resort but also offers the advantage of access to the ski slopes within 200 metres from the residence. Everything is close: the Tourist Office, shops, bars and restaurants ... It is one of the best locations in the resort. 'Croix de Verdons' is an apartment with contemporary décor in a wood and stone frame that recalls the atmosphere of the mountain chalet. The living room hosts a cozy lounge and a cozy dining area opening onto a fully fitted kitchen. With a living-room and a two mountain corners, the 'Croix de Verdons' apartment is the promise of good moments of sharing and conviviality for its five occupants. The apartment Croix de Verdons has an excellent location in the resort centre and is only 200 metres away from the slopes. The Croix de Verdons apartment is fully equipped to accommodate 5 people.